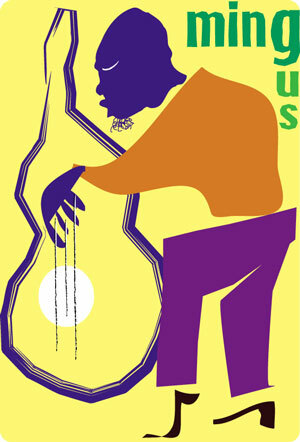 The life of Charles Mingus... This "Angry Man of Jazz" created a new way of listening to jazz. Mingus was a complicated cat who did not follow the "RULES". He was a leader! This cat Mingus is highly ranked among the composers and performers of jazz, and he recorded many highly regarded albums. Dozens of musicians passed through his bands and later went on to impressive careers. His tunes are not often re-recorded, because of their unconventional nature. Like I said... the Dude was COMPLICATED! Mingus was also influential and creative as a band leader, recruiting talented and sometimes little-known artists whom he assembled into unconventional and revealing configurations. Nearly as well known as his ambitious music was Mingus' often fearsome temperament, which earned him the nickname "The Angry Man of Jazz." This cat refused to compromise his musical integrity, and this led to many on-stage eruptions, though it has been argued that his temper also grew from a need to vent frustration. But boy did the man have a TEMPER! 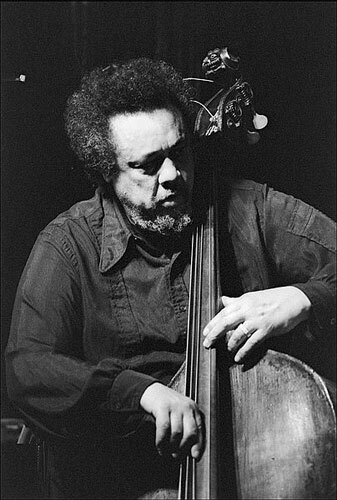 As respected as Mingus was for his musical talents, he was often feared for his sometimes violent onstage temper, which was at times directed at members of his band, and other times aimed at the audience. He was physically large, prone to being fat(especially in his later years), and was by all accounts often intimidating and frightening when expressing anger or displeasure...don't mess with the fat man on bass... ya dig? Like a true ARTIST the brother needed wine women and song... and then he could get down to business and create the masterpiece!